What you have to do to make your online business famous is easy - learn a bit about SEO, and abandon your life. Yeah, if you’re an e-Commerce newcomer, you should probably forget about afternoon walks in the park for a while, and dedicate your time to sitting in front of the screen and murdering your posture. However, there’s bright side too - SEO is hella fascinating. Today, we’re going to provide you with some useful SEO tips, namely - keyword research tips. So, let’s avoid the verbiage and get right to them. Keywords, as you probably know, are phrases that define and summarize your website’s content. They’re beacons for search engines, that help to find the appropriate data each time someone enters a certain search query. Figuring out which words customers might use to find your products is the heart of SEO - you’re ought to think hard on this subject, and brainstorm with your colleagues. But then, also, be sure to exploit tools that can expand your keyword list even more, like Ubersuggest, and Keyword Discovery. There are plenty of companies that have already made it SEO-wise - why not emulate their keyword strategies. Especially since it is so easy to do with tools like SEM rush and Open Site explorer. Paste competitor’s website into one of them and see which keywords it’s ranking for. Making sure the content includes the needed keywords and creating a lot of it - articles, product pages, videos, infographics, guiding pages etc. Creating meaningful content that’s also optimized for keywords. Spammy websites are neglected by Google, so do everything right! Also, avoid cheating - like putting keywords into white spaces - it won’t pay off. Putting keywords into non-obvious, but non-restricted places, like titles and alts of your images. Spreading content through Facebook, Twitter, Plus Google, etc., adding social media buttons to your website. You could go the opposite way too - use the keywords your established competitors didn’t think of. It is an unlikely but still possible way to earn a market share. After you compiled a substantial list of keywords to rank for, it’s time to pick the most important ones. Consider keyword’s volume and competition level and shoot for the mildly popular phrases - b-list and c-list keyword celebrities, if you will. That way, you won’t face an overwhelming competition while still getting traffic. Don’t neglect those. If you run a local business - they’ll promote you a lot faster than regular keywords and here’s why - Google varies search results depending on the geographic location the query is coming from. Therefore, you won’t have to fight with the most advanced foreign websites (with old domain age and well managed SEO) to get a spot in search results, only the sites from your region. Remember, SEO takes time and is utterly challenging, but there’s no point in running a business if you’re not willing to promote it. 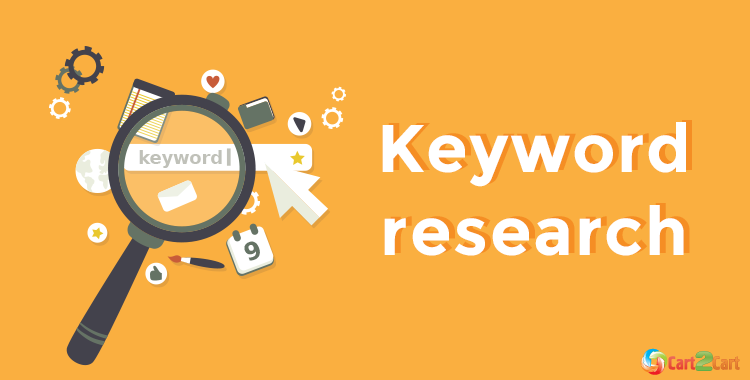 So, brace yourselves, and give advertising your hardest effort - these tips on keywords research will surely help you. Good luck!